Our Hand-Filled series continues with Cask #395, filled with 30% of our signature 5-malt new make spirit and 70% peated new make spirit. Interestingly, the peated malt doesn't dominate the character of the final whiskey. 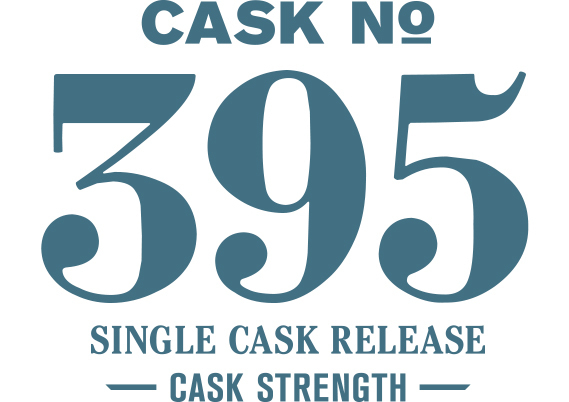 The 5-malt holds its own and more while the heavy toast/light char cask adds a nice third dimension to the overall profile. This multi-dimensional whiskey has a lot to offer. The peat notes are floral and fruity with a mossy aroma on the nose, all underpinned by smoky barbecued meat. The presence of the 5-malt is exhibited by a backdrop of waffle cone with chocolate custard.